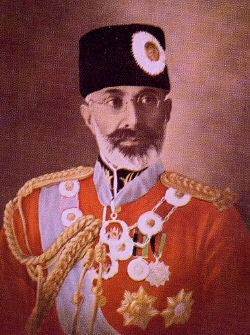 1) Sardar Muhammad Tahir Khan. He d.v.p. at Paris aged 18, before 1929. 2) H.M. al-Mutawakkil 'ala Allah, Pairaw ud-din-i-Matin-i-Islam Muhammad Zahir Shah, King of Afghanistan - see below. 1) Tahera Khanum. b. 1901. She d. unm. in prison, at Kabul, October 1929. 2) H.R.H Princess Zuhra Begum [Zuhra Jan]. b. at Kabul, 1915. m. at Kabul, September 1934, H.R.H. Sardar Muhammad Naim Khan (b. 1911; k. at the Presidential Palace, Kabul, 27th April 1978, bur. De Sabz), sometime Minister for Foreign Affairs, youngest son of H.R.H. Sardar Muhammad Aziz Khan, sometime Minister for Foreign Affairs, by his wife, Khurshid Begum, third daughter of H.E. Sardar Muhammad Asif Khan. She had issue, one son and one daughter - see Afghanistan (Telai). 3) H.R.H Princess Zarmina Begum [Zainab Jan]. b. at Kabul, 1917. m. at Kabul, September 1934, General H.R.H Sardar Muhammad Daud Khan (b. at Kabul, 18th July 1908; k. at the Presidential Palace, Kabul, 27th April 1978, bur. De Sabz), sometime President of Afghanistan, eldest son of H.R.H. Sardar Muhammad Aziz Khan, sometime Minister for Foreign Affairs, youngest son of H.R.H. Sardar Muhammad Aziz Khan, sometime Minister for Foreign Affairs, by his wife, Khurshid Begum, third daughter of H.E. Sardar Muhammad Asif Khan. She was k. at the Presidential Palace, Kabul, 27th April 1978 (bur. De Sabz), having had issue, five sons and two daughters - see Afghanistan (Telai). 4) H.R.H Princess Sultana Begum [Sultana Jan]. b. at Kabul, 1918. m. Sardar Muhammad Umar Khan Zikeria, youngest son of Nur Ahmad Khan Zikeria, by his wife, Sabira Begum, sixth daughter of H.E. Sardar Muhammad Asif Khan. She had issue, four sons and one daughter - see Afghanistan (Zikeria). 5) H.R.H Princess Bilqis Begum [Bilqis Jan]. b. at Kabul, 1919. m. Sardar Taimur Shah Khan (b. 1921), eldest son of Colonel H.H. Sardar Ahmad Shah Khan, sometime Minister of the Royal Court, by his first wife, Zarin Begum, eldest daughter of General H.E. Loinab Khushdil Khan, sometime Governor of Kabul and Kandahar. She was k. at Kabul, 2nd April 1978 (bur. De Sabz), having had issue, one son and five daughters - see Afghanistan (Asifi). 1) H.R.H. 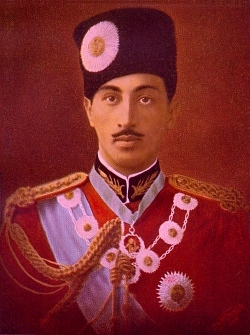 Prince Muhammad Akbar Khan. b. at the Arg-i-Shahi, Kabul, 4th August 1933, educ. Istiqlal Sch, Kabul. Heir Apparent at brith. He d. at Kabul, 26th November 1942. 2) H.R.H. Crown Prince Ahmad Shah Khan [Ahmad Shah Zahir], Head of the Royal House of Afghanistan - see below. a) H.R.H. Prince Mustapha Zahir Khan [Mostapha Zahir]. b. at Zezhantun Maternity Hospital, Kabul, 2nd May 1964 (s/o Lailuma), educ. Rome, Vienna, London and at Queen’s Univ, Kingston, Ontario, Canada. Co-Founder Afghan Medical Relief Organization (AMRO), Diplomatic Assist to King Muhammad Zahir Shah 1991-2000, Special Assist & COS 2000-2002, Ambassador to Italy 2002-2005, Dir-Gen National Environmental Protection Agency (NEPA) since 2005. Mbr International Cttee of the Afghan World Fndn. b) H.R.H. Prince Muhammad Daud Jan [Daud Zahir]. b. at Zezhantun Maternity Hospital, Kabul, 17th January 1966 (s/o Lailuma). Photographer in London. a) H.R.H. Princess Bilqis Khanum [Belquis Zahir]. b. at London, 1966 (d/o Mahbuba), educ. in England. Interior designer and jeweller. b) H.R.H. Princess Ariane Khanum [Ariane Zahir] (d/o Mahbuba)]. a) H.R.H. Prince Duran Daud Khan [Doran Daoud Zaher]. b. at Kabul, 1974, educ. American Univ of Sharjah, UAE. Consultant GTZ Investments in Sharjah. a) H.R.H. Princess Noal Khanum [Noal Zaher Shah] [H.R.H. The Princess of Sa’id]. b. at Rome, Italy, 6th December 1978, educ. L’Institut Saint Dominique, Rome, Italy, and Webster Univ London (BBA). Designer. Dir Noal & Co Ltd 2001. m. at the Ciragan Palace, Istanbul, Turkey, 30th August 2013, H.R.H. Prince Muhammad ‘Ali, Prince of Sa’id (b. at Cairo, Egypt, 5th February 1979), elder son of H.M. Fu’ad II, by the grace of God, King of Egypt and of Sudan, Sovereign of Nubia, of Kordofan and of Darfur, by his wife, Fadila, née Dominique-France Picard, daughter of Robert Picard - see Egypt. 5) H.R.H. Prince Mir Wais Khan [Mirwais Zaher]. b. at the Arg-i-Shahi, Kabul, 7th January 1957, educ. Istiqlal Sch, Kabul, Harrow Sch, Mdsx, and the Academia di Belle Arti, Rome, Italy. Sometime PR official to financial institutions, Adviser to King Muhammad Zahir Shah 2000-2007, Special Advisor to the Ministry of Information & Culture since 2005. Chair National Cttee for the Preservation of Afghan Cultural Heritage. Hon Adviser to the Executive Cttee of the Bamiyan Afghanistan Laser Project. m. before the Secretary of State, at the Palazzo della Repubblica, San Marino, 30th May 2009 (civil) and at the Grand Mosque, Rome, Italy, 18th October 2009 (relig), H.R.H. Princess Safya Zaher (b. at Geneva, Switzerland, September 1967), educ. Geneva Univ, Attaché at the Afghan Ministry of Culture & Information, sometime teacher, a Swiss citizen of Balkan and Afghan heritage who converted to Islam at Geneva Mosque, taking the name Safya June 2001. 1) H.R.H. Princess Bilqis Begum. b. 17th April 1932, educ. Malalai Sch, Kabul. m. at the Arg-i-Shahi, Kabul, 1952, Lieutenant-General H.R.H. 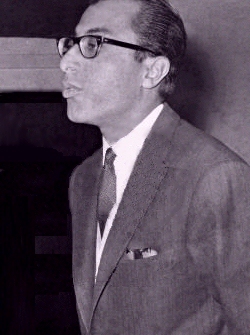 Sardar 'Abdu'l Wali Khan, GCVO (b. 25th March 1925; d. at New Delhi, India, 30th June 2008), ADC General, and sometime Cdr Central Command, second son of Field Marshal H.R.H. Sardar Shah Wali Khan Ghazi, sometime Ambassador at the Court of St James's, by his wife, H.R.H. Princess Safia Begum, Samar ul-Siraj, daughter of H.M. Siraj ul-millat wa ud-din, Amir al-Mumenin, Habibu'llah Shah, Sarkar-i-Wala, King of Afghanistan, GCB, GCMG. She had issue, three daughters - see Afghanistan (Telai). 2) H.R.H Princess Maryam Begum. b. at the Arg-i-Shahi, Kabul, 2nd November 1936, educ. Malali Sch., Kabul. m. at the Arg-i-Shahi, Kabul, 1960, Professor Sardar Muhammad Aziz Khan Naim (b. at Kabul, August 1935; k. at the Presidential Palace, Kabul, 27th April 1978, bur. De Sabz), son of her grand uncle, H.R.H Sardar Muhammad Naim Khan, sometime Dep. Prime Minister and Minister for Foreign Affairs, by his wife, H.R.H Princess Zuhra Begum, second daughter of H.M. Shah-i-Shahid al-Ghazi Muhammad Nadir Shah, King of Afghanistan. She had issue, one son - see Afghanistan (Telai). a) H.R.H. Princess Roxanne Khanum [Roxanne Zaher]. b. 1988. 2) H.R.H. Prince Muhammad Emel Khan. b. at the Zezhantun Maternity Hospital, Kabul, 1963, educ. in the USA. 1) H.R.H. Princess Hawa Khanum [Hawa Zaher Nawaz]. b. at the Zezhantun Maternity Hospital, Kabul, 27th October 1963, educ. in the USA. Settled in Alexandria, Virgina, USA. m. Sultan Muhammad Nawaz (b. 1963).